We want you to find the joy hidden in retirement spending! 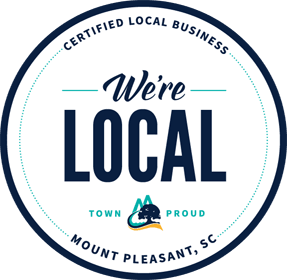 New Office Construction, A New Keys to Exceptional Retirement Class, and A Field Trip! Hello Spring! We are all excited to see the signs of spring, renewal, and change, and we at Runey & Associates Wealth Management also have some exciting developments to share with you! 20 Most Beautiful Places to Visit in Spring! Stick to Your Long-Term Plan, Reduce Internet Costs, and Spring Cleaning! Sticking to your Long-Term plan is not always easy during turbulent markets - so a big congratulations to you for being able to stay the course! Please see the article about how being able to predict market surprises has little or no impact on your long-term returns. We also take a look at how you can cut your internet expenses and how to get your garden ready for spring! Thank You and New Employee Announcement! We have a lot to cover in this blog - Enjoy!! Welcome to the RAA Team, James Palmer! Happy New Year and Valuable Tips for Making 2019 Great! Have you made a New Year’s Resolution? The 10 guidelines article may help you improve your chances for succeeding. Updating your estate plan may be one of the most important things you can do for your loved ones. If you have thought about making your home “smarter,” you will want to read this summary of some of the new tech, including virtual voice assistants, thermostats, and lighting and whether they make practical and economic sense to buy. Sometimes, what we DO NOT do is as important as what we DO. Let’s resolve to never make these seven investing mistakes, especially when markets are volatile! Help a friend or family member - tell them about our Keys to Exceptional Retirement Class! We all have different ways of celebrating the holidays, but one thing almost all of us have in common is the giving of gifts. See the article on how to give a great gift: “It’s the thought that counts” applies to much more than gift giving. Also read about how reframing our thoughts about money may ultimately help us become better at managing what we have and reaching our goals. Do you have old phones or laptops you are not sure what to do with? Find out how to sell or donate them. Now, let’s talk about the stock market for a moment … we encourage you to ignore the headlines, and remind you that we are in this for the long run. We are all familiar with the adage that it is better to give than to receive, but recent studies have found that giving can actually improve your health, help you live longer, and increase your happiness. Click to read our articles on the health benefits of altruism, how your donations to disaster relief really do help those impacted by natural disasters, what principles we can use from the millionaire next door, and a video about staying the course in the face of recent market volatility. Money or Time - Which One Would You Choose? Money or time? If you could have more of one, which would you choose? (No, you cannot answer “both!”:-)) We welcome you to read the “Would You Rather Have More Time or More Money” article to find out how “buying more time” may help improve your mood. In this post we also highlight our unique client process, which we refer to as “The RAA Difference”, as well as introduce you to a new section of our newsletter: Retire On Your Terms Visual Insights. Can You Protect Your Portfolio From the Next Crisis? Natural disasters, terrorist attacks, war, and geopolitical standoffs with nations like North Korea and Iran, are all part of today’s world and they can affect markets in unpredictable ways. Is there anything you can do to protect your portfolio? Find out in this issue of the Retire On Your Terms Visual Insights Newsletter. Do You Have a Happiness Budget? Our post today shares 4 interesting articles about achieving happiness and success: 1. Don’t get distracted by the “next hot thing” featuring Warren Buffet and Jay-Z. 2. 5 Tips for Better Decision Making: How psychology and behavioral economics can help us tame the biases that can sabotage good decision-making. 3. 4 Ways Couples can Tackle Money Goals Together, and 4. 7 tips for your child/grandchild to make a smooth transition to college. Happy 4th of July! Is Your Tax House In Order? What does freedom mean to you? Understanding the recent income tax changes may help in achieving financial freedom - please see the 1) article featuring the IRS Tax Calculator, which will help with proper withholdings. This post also features articles regarding 2) Diversification (and a comparison vs. NBA teams), 3) Money Saving Tips for Summer, and 4) Camping ideas. Being open to new experiences can open up new possibilities. And favoring the familiar doesn’t always serve you well when it comes to your portfolio. See the articles about 1) global stock return rankings, 2) the perils of trying to avoid the worst days in the stock market, 3) money tips for recent graduates, and 4) 25 essential drives for a U.S. road trip. Summer is approaching quickly and we are looking forward to warm days outside, celebrations, and relaxing vacations - we hope you are too! Yes, there are still stock market volatility headlines, but since you know your long-term plan was designed to weather these short-term storms, you can focus your attention on other important things: like family. With last week's market volatility we want to reiterate our strategy of staying the course with your investments. We had several conversations with our clients last week to remind them that volatility is a normal part of the market cycles and also to give them the continued confidence that they are doing the right things. If you have a friend or a family member who you think could benefit from the same high level of professional advice we would encourage you to have them contact us to see if we can help. Why do we make new year’s resolutions? Because we’d all like to live happier and more fulfilled lives. Would saving money toward a more secure future help cut down on financial stress and maybe even give you the option to retire a little earlier (or enjoy retirement a little more)? Remember; it’s never too late to start saving and investing more. Here’s to a happy, healthy, and prosperous 2018! 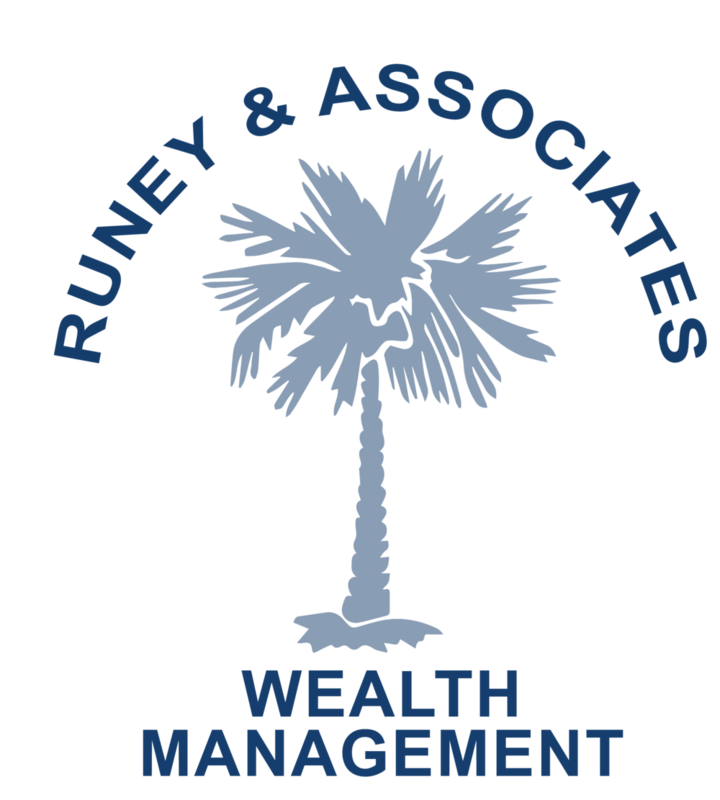 We are excited to announce that we are changing our name from E&R Wealth Management to Runey & Associates Wealth Management. We are doing this to reflect our updated ownership structure and management team. Welcome to the holiday season, which seems to come faster each year! I know many of us have witnessed or experienced events this year that prompted us to stop and count our blessings. I wanted to express my gratitude to you for your trust throughout the year as we work together to realize your important goals. Today's blog post doesn't focus on the market or traditional investment strategies. Instead, we want to take a look at the less obvious, and perhaps undervalued, measures of success and happiness. It has been said that the baby boomer generation will be the most generous generation in history when it comes to the giving of both time and money. Because giving is so important to so many of you, we want to chime in since it's a personal decision that can have great financial impact. Global stock markets delivered robust gains in the second quarter of 2017 as stronger earnings growth, upswings in global economic data and diminished political uncertainty in Europe all buoyed markets around the world. It’s wonderful to have positive economic data to reflect upon. But even when world events aren’t so rosy, we need to remember to be steadfast in our commitment to ourselves: stick to our long-term investment plan and concentrate on the big picture. Many people delay retirement again and again, and there is one reason in particular that nobody likes to talk about. For some, retiring sounds blissful, but for many there can be a dark side to it, especially if you can't visualize how you'll spend your time. Do You Have a Cash Creep Problem? Cash creep can erode your portfolio returns if you aren’t careful. Check out THIS ARTICLE to make sure you're not in its path. What are the things that have tempted you into cash creep? How are you fixing it? It's actually quite common to be concerned or anxious about retiring, but this article shares some surprising findings. Check it out HERE. What was the best surprise about retirement for you? International markets involve additional risks, including, but not limited to, currency fluctuation, political instability, foreign taxes, and different methods of accounting and financial reporting. As a result, they may not be suitable investment options for everyone.